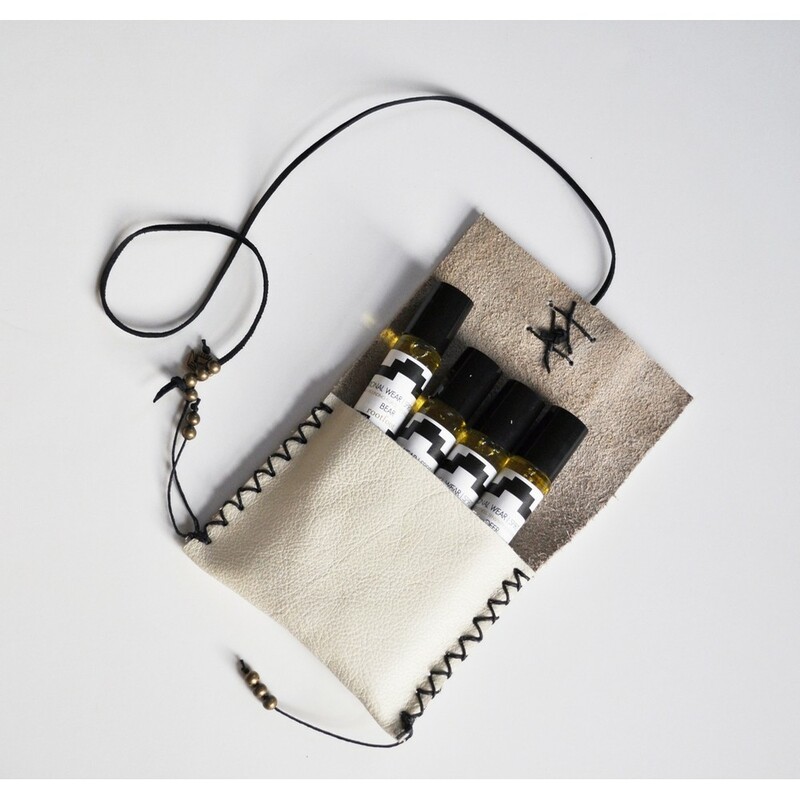 4 Oils in handcrafted medicine pouch. Keep by bedside, altar, or carry with you. Each oil made with powerful plant wisdom & clear intentions. Apply liberally to pulse points, chest, hands, and feet to invoke the powers of the spirit animal.